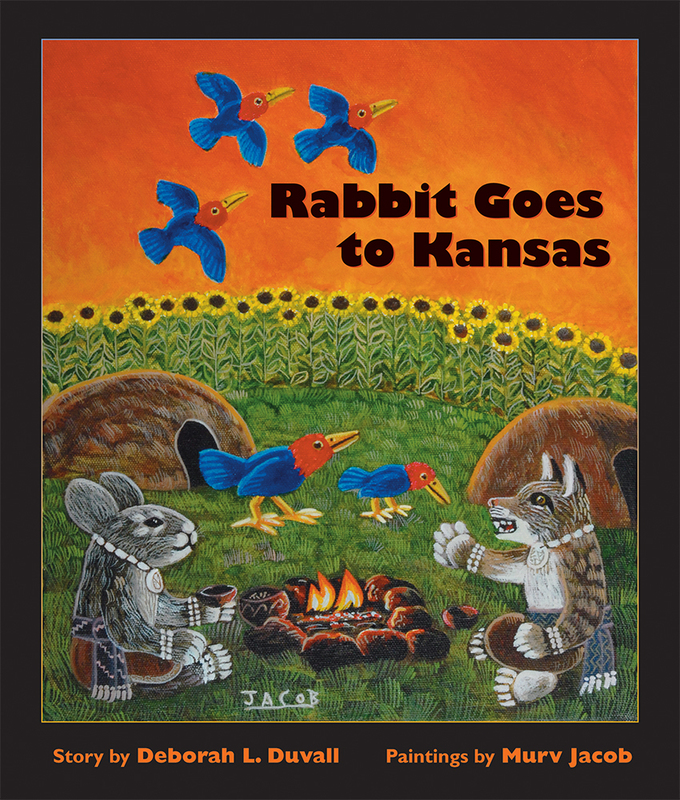 Come along as Ji-Stu the rabbit and his friend Wildcat follow the North Star for days until they find a giant cottonwood tree. It stands atop a tall hill covered with sunflowers. According to an old story, this hilltop is home to a tribe of mysterious birds with shining red heads and brilliant blue bodies. Ji-Stu has seen two of their feathers, and he is willing to travel as far as he must go to find more! As they reach the top of Sunflower Hill, Ji-Stu and Wildcat are about to discover that these red and blue birds have much more to offer than beautiful feathers. They teach Ji-Stu an exciting new game that will make him famous back home in Indian Territory (Oklahoma), while Wildcat's own legend is only just beginning!